Each year, 35,000 children and adolescents are diagnosed with cancer in Europe (2,500 in France) and 13,500 in the US. 25% will die from it. Current research is primarily focused on adult cancers, with only 2% of funding allocated to pediatric cancer. Yet, childhood cancers are not the same as adult cancers and they therefore require different treatments. 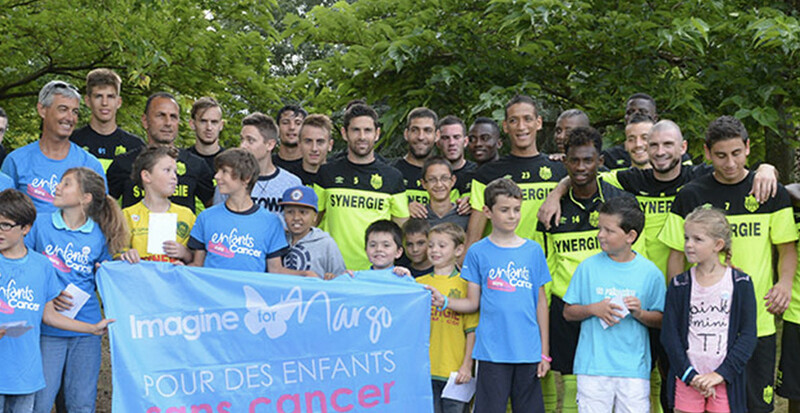 This is Imagine for Margo’s ambition: to raise funding to support development of innovative and specific treatments for children and adolescents with cancer. Margo passed away on June 7, 2010 of a brain tumor. She was 14 years old. For 16 months, she fought her cancer with remarkable courage. The mission of Imagine For Margo is to collect funds to help finance specific research programs that focus on finding innovative and more effective treatments against pediatric cancer. Imagine For Margo is also about raising awareness about Childhood Cancer, it’s status as the number one killer disease for children and the chronic underfunding of Childhood Cancer research.